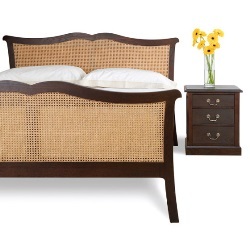 Bed Frames UK Lowest bed frame prices online. 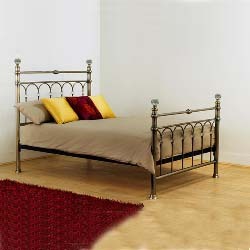 Bed Frames UK specialist in bed frames & bedsteads. Choose from wooden and leather bed frames, to ornate metal bed frames, fabric upholstered beds in a variety of in season colours, to more modern European style bed frame designs. Be sure to take advantage of our low prices, great savings in our up to 60% RRP sale and 10% off selected mattresses when bought with any of our bed frames. We also offer free next day delivery or day of choice and even Saturday delivery depending on manufacturer so you can sleep in luxury tomorrow. Available in all standard UK and Continental sizes including small single 2ft 6, single 3ft, small double 4ft, double 4ft 6, kingsize 5ft, superking 6ft plus many more. 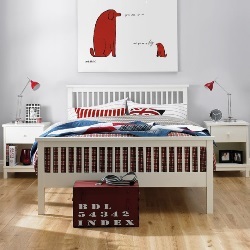 Explore fantastic bed frame ranges from Bentley Designs, Julian Bowen, Kaydian, Limelight, Serene Furnishings, Silentnight, Flintshire, and Time Living.